Android Studio is an Integrated Development Environment for developing android applications, launched during Google IO 2013. It is based on the IntelliJ IDE. 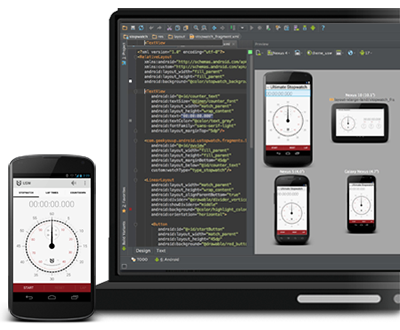 Android Studio offers live view of your app layout in various Android devices. This is quiet useful for checking the app compatibility in various devices, as well for internationalization. It is currently available in early access preview, you might run into number of bugs and issues. Lets hope the issues will get resolved at the earliest and the stable version will be out for daily development activities.